Aecentus are able to offer a wide range of data acquisition services that help to connect the FEA theoretical simulations with real life performance. All FEA simulations require the engineer to make judgements and appropriate assumptions when applying loads and boundary conditions to the FE model. This is often difficult, especially in complex models. Data acquisition has the distinct advantage of being to provide valuable actual strain and load data, which with relevant post-processing, can be directly used within FEA simulations to assist in more accurate predictions. We have the capability to capture a wide range of analogue and digital data, such as strain, acceleration, temperature, speed, counters, proximity, ..etc.. With our high-spec instrumentation, we can record over 40 channels simultaneously (system fully expandable if required) at sample rates up to 100k s/s with 16 bit analogue-digital conversion, providing fully synchronised data measurements. 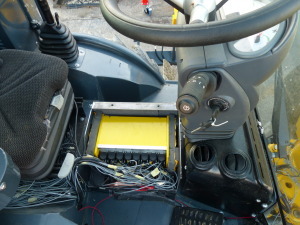 The system can be hard wired or measured remotely via telemetry. This is particularly useful for moving structures where the hardware cannot be mounted directly. We can also record data remotely without the need for a PC interface allowing for many hours of continuous data capture. 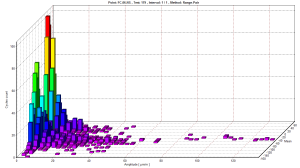 • Preliminary FEA to identify critical joints and features for measurement. Specify type and orientation of sensors. 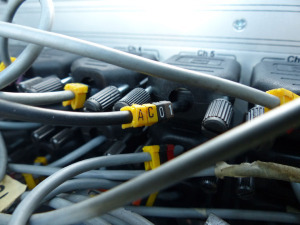 • Fitting of sensors and the necessary cabling or radio telemetry. • Record actual data measurement under operational loads.